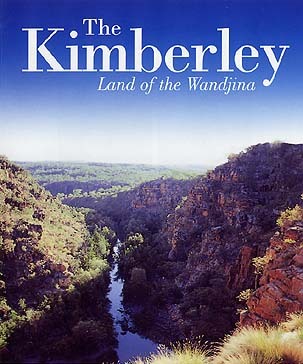 This magnificent documentry, produced by the award winning ABC TV Natural History Unit, explores the land and life of the spectacular Kimberley region of the North West Australia, Aboriginal people believe that the Wandjina, the rain spirits, created the rugged and unforgiving landscape. If anything, the truth is harder to comprehend. Water, flowing over the unimaginable eons, has been the creator of the deep sandstone gorges and limestone ranges. Water in various forms, rain, sea and rivers, continues to dictate the rhythm of life in this awesome and harsh region. From the vast coastal mudflats to the tidal rivers and inland waterways, this beautifully photographed film explores in detail one of the least known regions of Australia. This page was last modified 15:51, 30 March 2019.